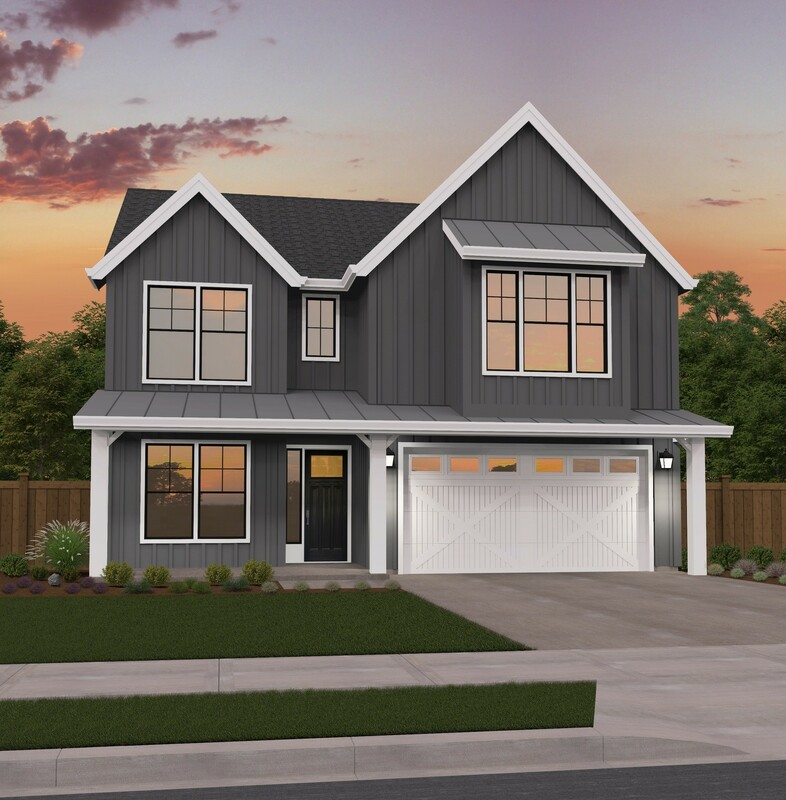 Mark Stewart Home Design is on the leading edge of the recent surge in farmhouse style homes, and this two story affordable farmhouse is part of a brand new collection of these designs. 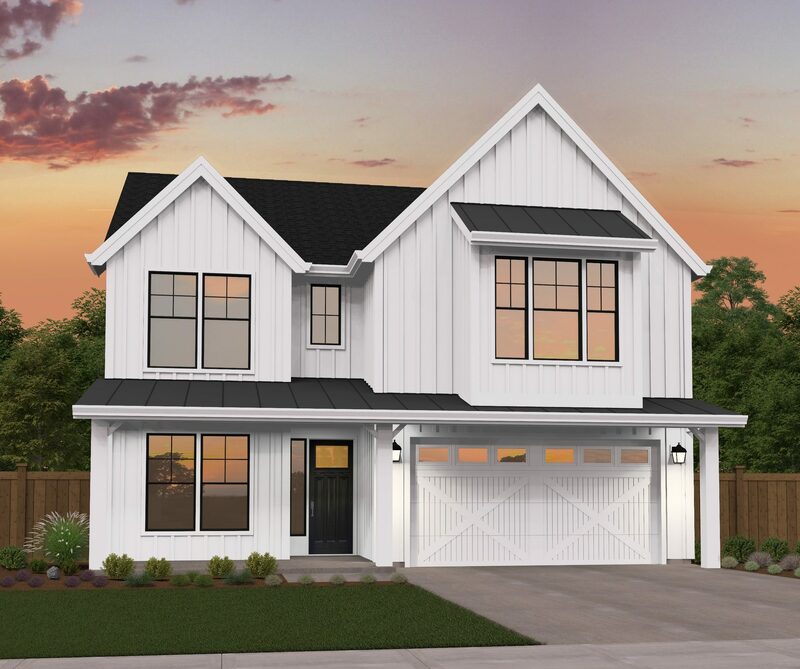 The farmhouse style is marked by rustic materials, comfortable and functional floor plans, and traditional exteriors and roof lines. 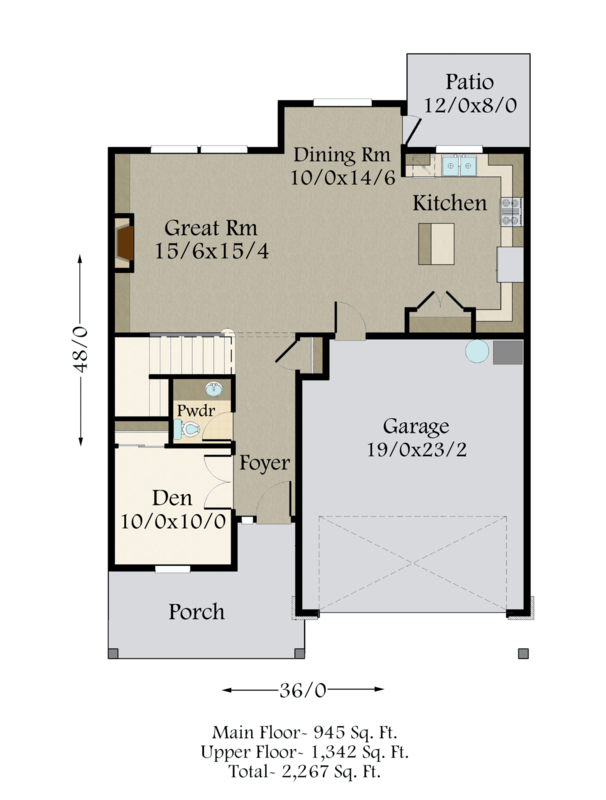 This is a fresh take on an incredibly popular floor plan that still retains all of the functionality and livability of its cousin. Right off of the foyer you’ll find the den and an adjacent powder room. Moving past the powder room and stairs you’ll be led to the comfortable, open concept great room/kitchen/dining room. The kitchen is a cook’s dream with counter space surrounding the kitchen and a large island in the center. 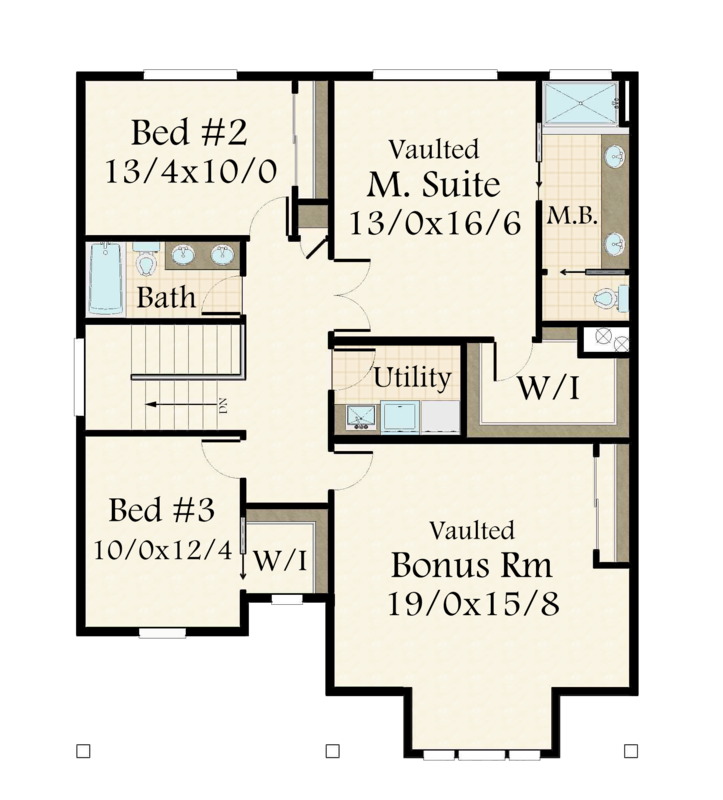 We have placed the master suite upstairs, along with two additional bedrooms and a large vaulted bonus room that could easily become a fourth bedroom. The master suite includes side by side sinks and a private toilet. The third bedroom also includes a walk-in closet.